MAN TG-X 18.440 Getreidekipper + Anhänger komplett! The price is 39900 Euro. Our MAN TGX tipper are available in a dealer's stock under your request. Engine details/gearing and fuel type: Euro 4, diesel, displacement: 10518 cc, 441 hp, gearbox: automatic. 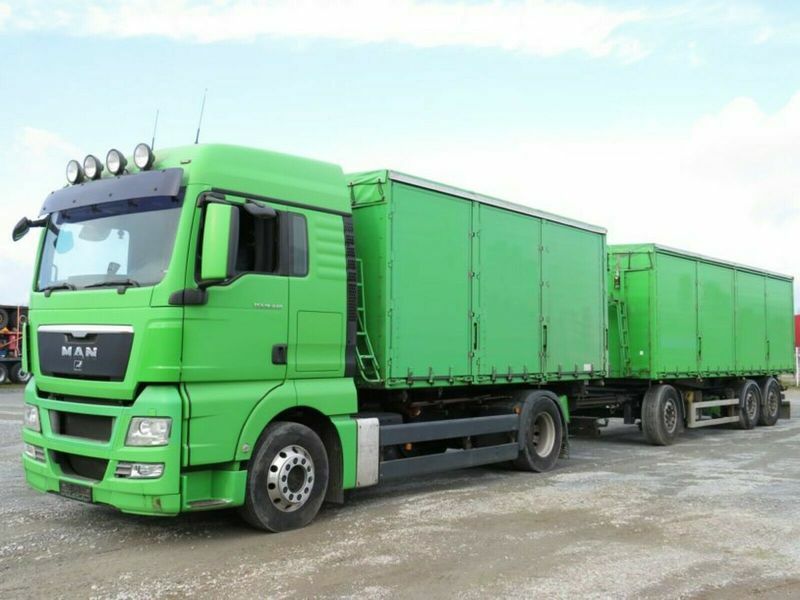 Body dimensions and options: loading length: 5100 mm, loading width: 2440 mm, loading height: 2100 mm, loading volume: 26.00 m³, number of pallets: 12. The mileage is 977887 km.